This week our special of the week is the Lamma-Lamma Lamb Burger created by Chef Michael Bellamy. Grilled ground lamb served on our Naegelin’s Bakery bun, with butter lettuce, tomato, feta cheese, bacon, housemade mint chimichurri and fries as the side. 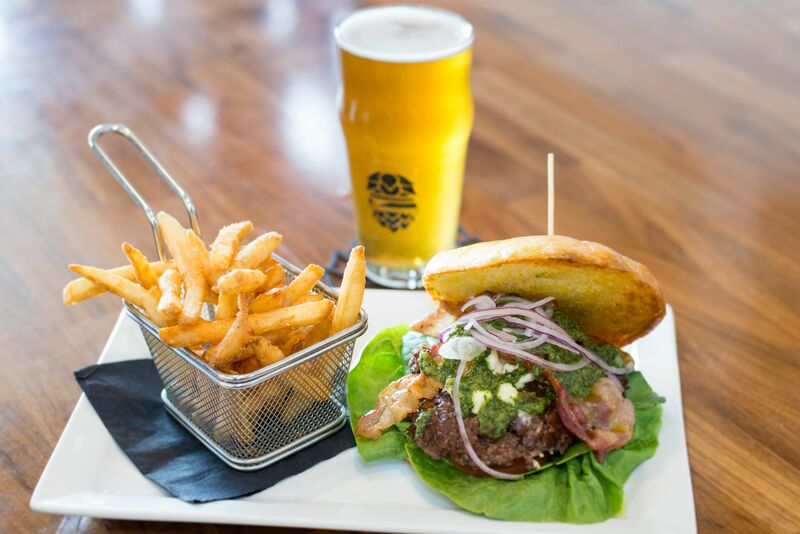 We suggest paring this Lamb Burger with Real Ale Brewing Company‘s Blackberry Gose. You won’t want to miss biting into this burger!